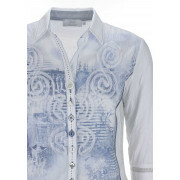 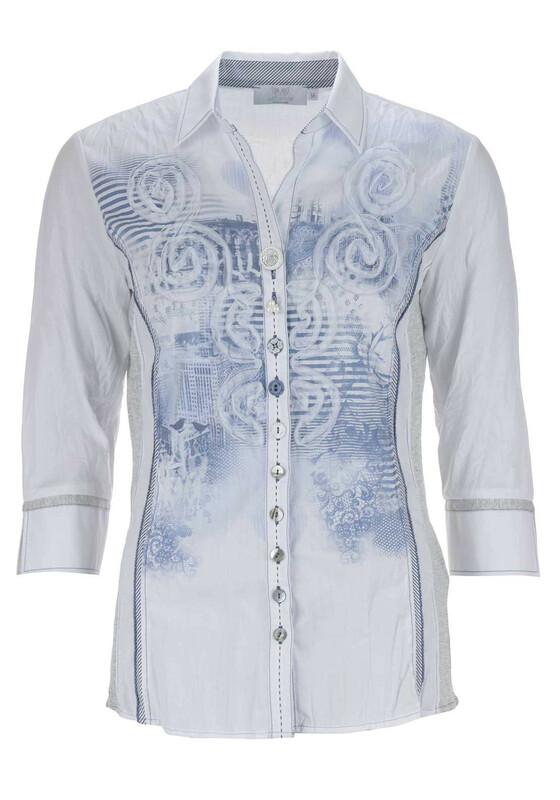 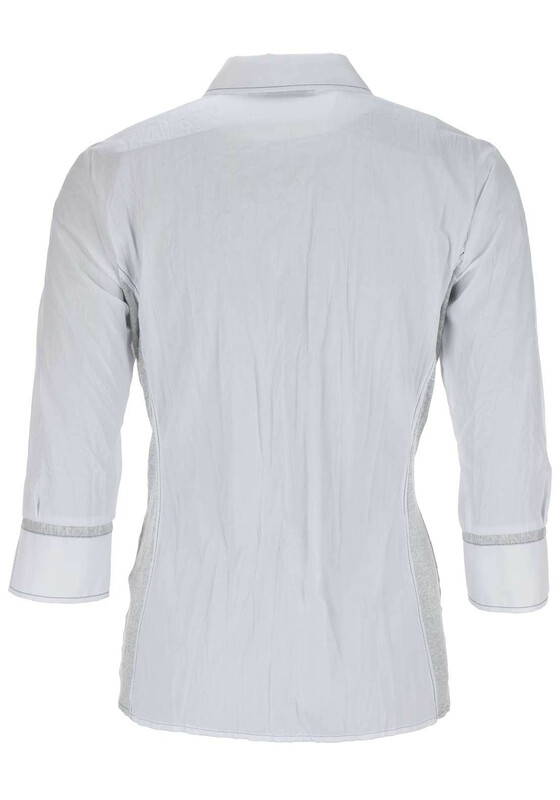 Tulle trimmed floral patterns add an extra touch of femininity to this distinctive blouse from Just White. 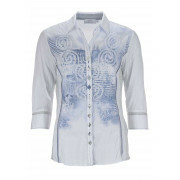 Perfect for teaming with dark denim jeans and a cardigan for a daytime outing. 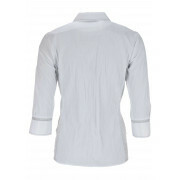 Crafted from crushed cotton blend fabric with contrasting grey jersey panels. 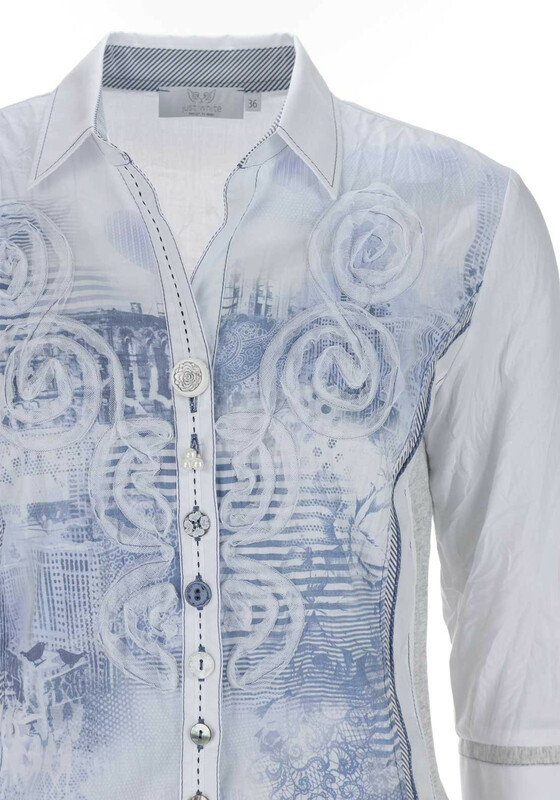 A blue print on the front completes the look.